Whether you mull it, spike it, or sip it, apple cider is synonymous with autumn and here at Homestead, we’ve got Melick’s premium and unfiltered available for whatever way you cider. Pressed at their New Jersey cider mill from September through January, Melick’s is cold pasteurized to preserve the full taste and flavor of their freshly picked apples. Consider the apple — an ancient fruit revered by Romans and Greeks as a symbol of love and beauty. “It is remarkable how closely the history of the apple tree is connected with that of man,” contemplated Henry David Thoreau. 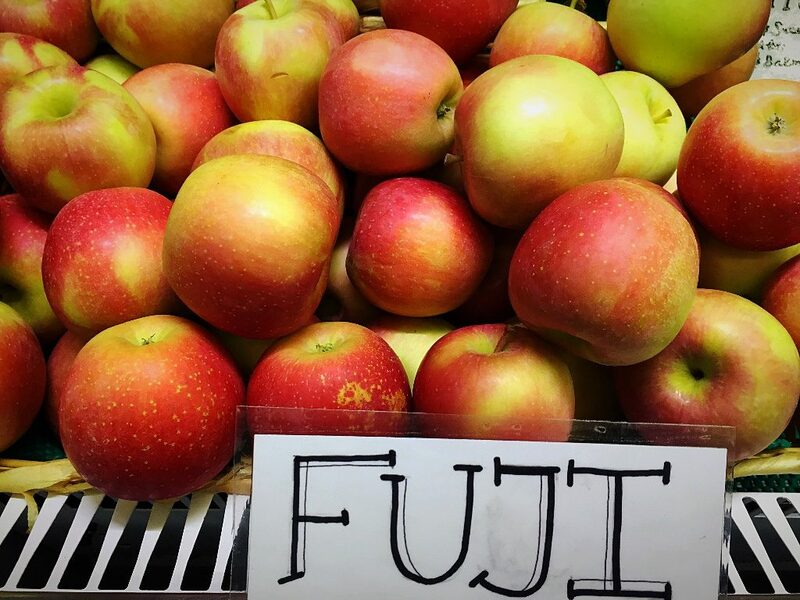 Brought to America somewhere in the 1600’s and cultivated on most farms during the settlement of the United States, there are now over 100 varieties grown commercially and Homestead has stocked some of your favorites—Macoun, Red Delicious, Golden Delicious, Honey Crisp, Fuji, and McIntosh. Paul Cezanne once said, “I will astonish Paris with an apple,” and went on to create timeless masterpieces using the iconic apple as inspiration and subject. Celebrate your own creativity by picking up a few varieties of your choice and simmering up a batch of simple applesauce or baking an apple pie. Speaking of pies, we carry delectable ones, including pumpkin, a seasonal favorite which would probably taste amazing accompanied by a pint of our Bassett’s Salted Caramel Pretzel ice cream. Looking for ideas for Meatless Monday cooking? Homestead’s escarole is the perfect main ingredient for making a simple but hearty supper like this Cannellini Bean and Escarole Soup. Another idea? Any of our squash is the perfect start to a healthy, satisfying Buddha Bowl. 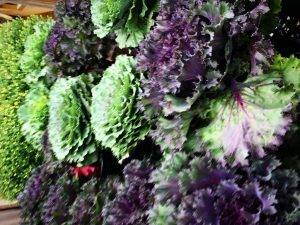 Mums, Cabbage, pumpkins, gourds, Indian Corn — we’ve got it all. The autumnal cornucopia is bursting here at Homestead. Stop by for your share of the seasonal bounty..